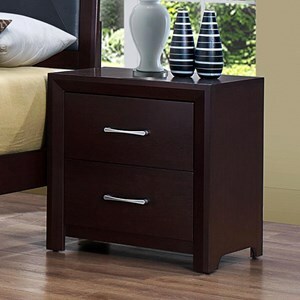 Bring style to the bedroom with the addition of this contemporary style 2-drawer nightstand. 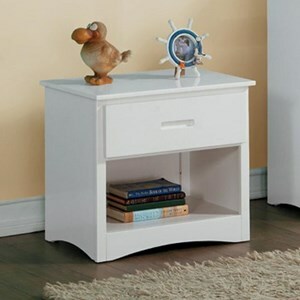 The piece features two drawers with plenty of storage space in each. 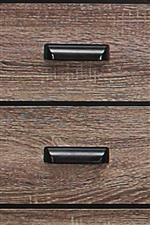 Each drawer compliments this storage space with dovetail joinery for strength and durability as well as metal glides for smooth operation. 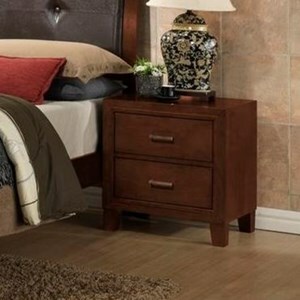 The nightstand features dark under-paneling to accent the drawers and will make this piece a stand out addition to your home. 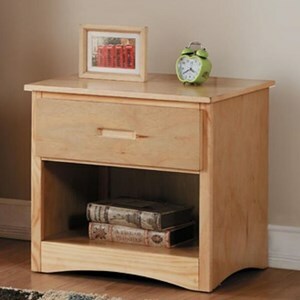 The Beechnut Contemporary 2-Drawer Nightstand with Dovetail Joinery by Homelegance at Beck's Furniture in the Sacramento, Rancho Cordova, Roseville, California area. Product availability may vary. Contact us for the most current availability on this product. Handles & Hardware Darkly finished cup handles accent each piece. 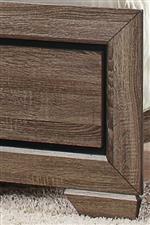 Drawer / Shelf Construction Dovetail joinery adds strength and durability. Metal glides make for smooth operation. 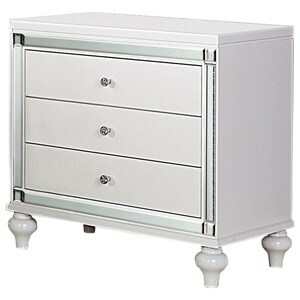 Restyle your bedroom with the addition a contemporary style piece from this collection. Each piece features a sharp modern silhouette accented wonderfully by dark under-paneling to create a unique and beautiful look. 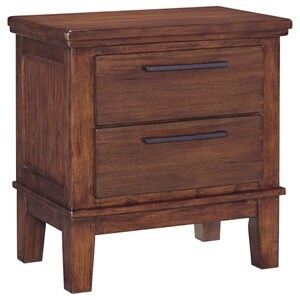 Each storage piece in this collection boasts both dovetail joinery and metal glides so you get lasting smooth operating storage options perfect for your bedroom. The Beechnut collection is a great option if you are looking for Contemporary furniture in the Sacramento, Rancho Cordova, Roseville, California area. 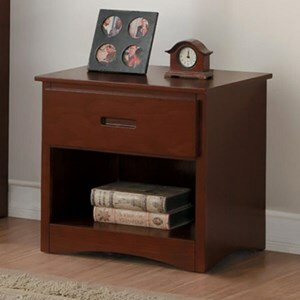 Browse other items in the Beechnut collection from Beck's Furniture in the Sacramento, Rancho Cordova, Roseville, California area.